Disclaimer: All posts about finances are from my own personal experiences and research. I, Joyce, am NOT a banker, a professional adviser. I simply love finances and write what I know. If you are seeking professional advice please seek a professional CPA or financial planner. The information provided here does not constitute direction or advice. TheHappyHomeLife.com makes no representations as to the accuracy, suitability, timeliness, completeness, or validity of any information on this site and will not be liable for any errors, omissions, or any losses, injuries, or damages arising from its display or use. All information is provided on an as-is basis. This policy is valid from 7 Agust 2018. This blog is compensated to provide opinion on products, services, websites and various other topics. Even though the owner(s) of this blog receives compensation for our posts or advertisements, we always give our honest opinions, findings, beliefs, or experiences on those topics or products. This includes content, functionality, and services provided by TheHappyHomeLife.com. When you click our website we will learn certain information about you, both automatically and through voluntary actions, you take when you are on our site. Now, this policy applies to any information we collect on our website and in emails or any other form of electronic messages. If you fail to do so you must not access or use our website, MyStayAtHomeAdventures.com. The Happy Home Life is a site not intended for children under 13 years of age. Anyone under the age of 13 may not provide any information to or on our website. The Happy Home Life does not knowingly collect personal information from children under 13. Anyone who is under the age of 13 does not provide or use any information on this website. This includes making purchases through this website or any other interaction with this website. Any information collected or received from a child under 13 without parental consent will be deleted. 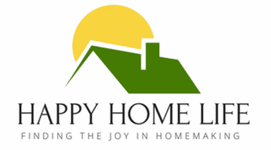 Like many other Web sites, The Happy Home Life makes use of log files. The information inside the log files includes internet protocol ( IP ) addresses, type of browser, Internet Service Provider ( ISP ), date/time stamp, referring/exit pages, and number of clicks to analyze trends, administer the site, track user’s movement around the site, and gather demographic information. IP addresses and other such information are not linked to any information that is personally identifiable.